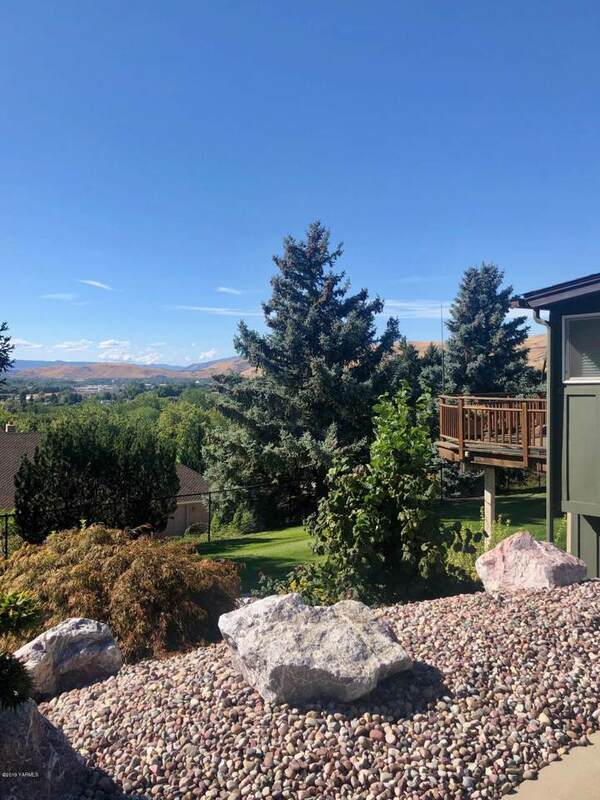 This one of a kind home boasts striking views of the valley and both mountains in the distance. 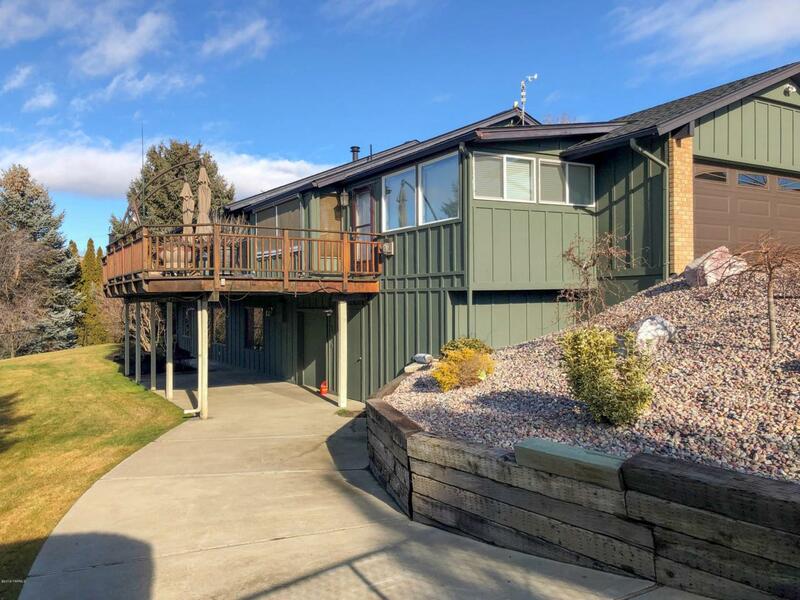 Beautiful private setting situated on a large lot within the Yakima Country Club provides many wonderful recreational options just outside your front door! Gorgeous updates and finishes throughout including chefs kitchen, open living and dining with tall ceilings, wall to wall windows and a contemporary marble fireplace capturing the center of the room. Walk out to the large deck perfect for entertaining or sit in the cozy sun room off the kitchen and enjoy your morning coffee. 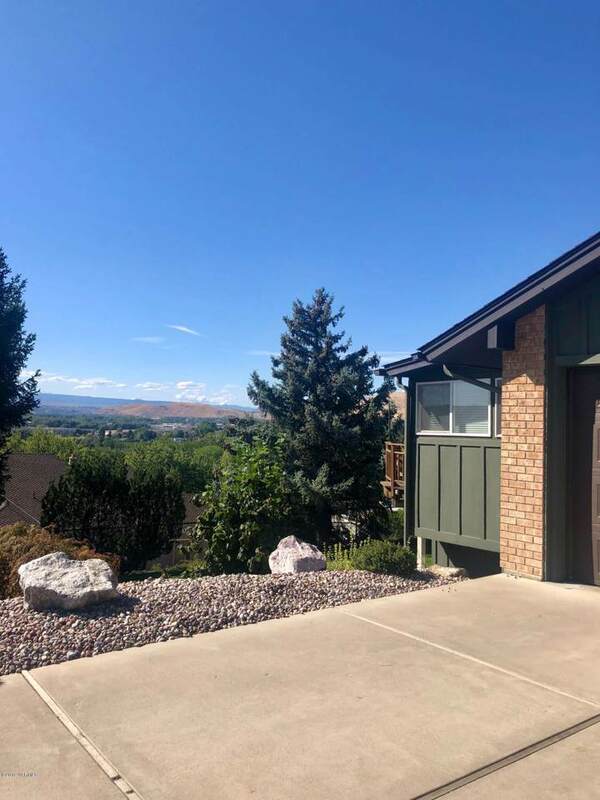 The master suite is a dream with large windows to take in the view, his and her closets and a master bath that showcases a wall of granite in the walk-in shower.The first floor also includes a den and large mud/laundry room making it complete for easy one level living. 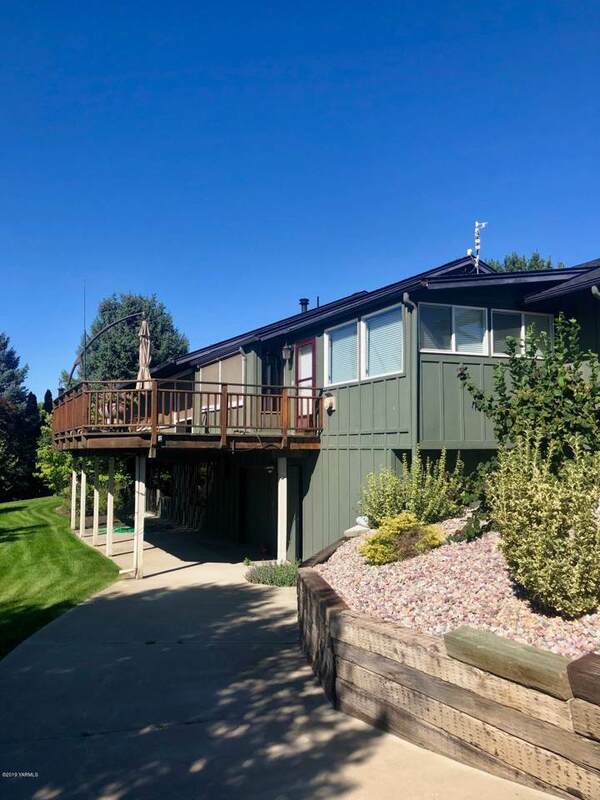 The lower level is equally as inviting with an additional 2 bedrooms, a full bath and a family room which walks out to the tastefully landscaped and fully fenced yard. Continue down the hall and find a custom wine cellar, endless amounts of storage and a golf cart garage. This home is simply a treasure and is suitable for a growing family or those wanting all the modern comforts, space and privacy this lovely home has to offer.